This is how the front might look without any camouflage to hide the details. 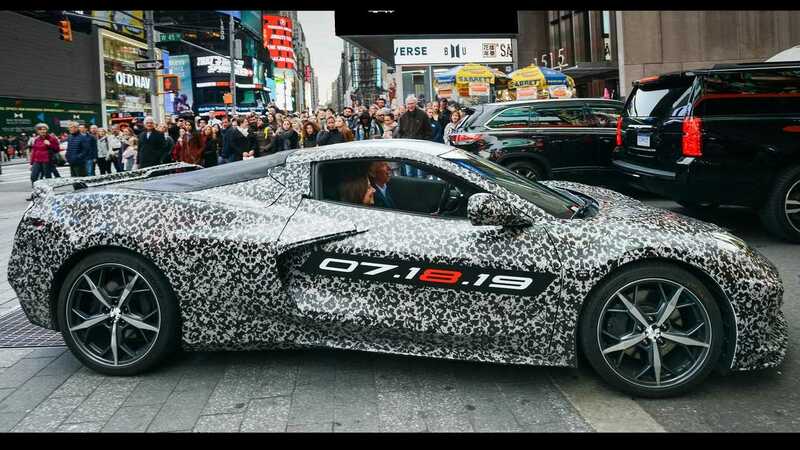 Now that the automotive world knows for certain that the mid-engined C8 Corvette debuts on July 18, the already simmering excitement for the new model is reaching a boiling point. 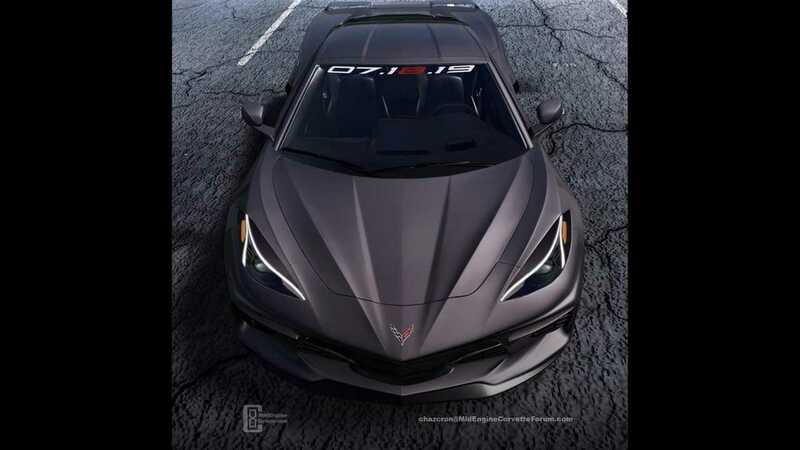 A new render from the user Chazcron on Mid-engine Corvette Forum imagines how the front end looks when the camouflage is gone. Chevrolet's own images provide a pretty good look at the mid-engined 'Vette's nose, but the camouflage hides the exact details. Depending on the angle, it's clear there are some crisp creases in the hood, and Chazcron incorporates them into this rendering. The headlights feature running lights that follow the inside and outside of the body. These elements come to a point and follow a crease in the fenders. 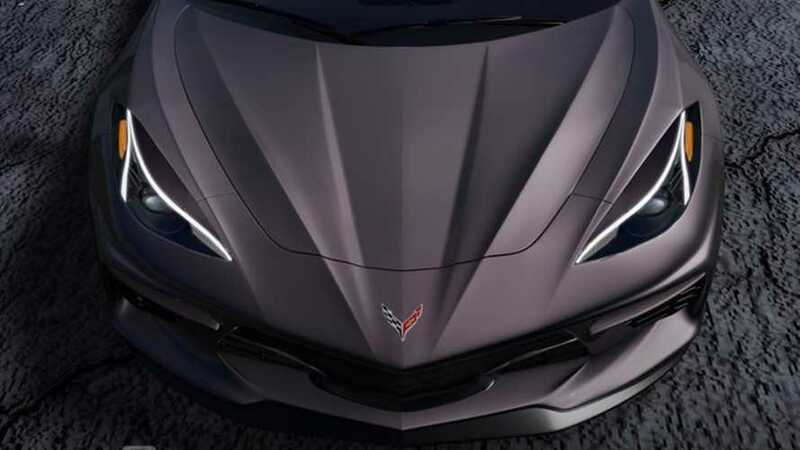 Without an engine to cool in front, the new Corvette's front fascia is largely closed, except for intakes in the corners and smaller ones near the center. A splitter helps manage the airflow underneath the sports car. The real news about the C8 'Vette is at the back where the engine lives. There aren't many firm details about the powerplant yet. Rumors suggest the new Corvette launches with a naturally aspirated 6.2-liter V8 making roughly 460 horsepower (343 kilowatts). However, there is strong speculation of the model eventually getting a twin-turbo V8. Engineers are reportedly dealing with an alleged problem of the vehicle's frame twisting under the stress of high-horsepower engines. Following the debut in July, the mid-engined Corvette reportedly begins production sometime between September and December 2019. Chevy already confirms plans to auction the very last C7 'Vette – a black Z06 – for charity at the Barrett-Jackson Northeast Sale on June 28.